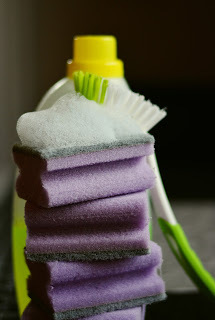 I prefer using homemade cleaners with natural products, so this floor cleaner is a really good idea. Except for the essential oils, I have all the other ingredients already. Will have to give this a try. Great recipe for cleaning and I would just add one thing and that is to label with a Sharpie the "jug" or container that you make this up in. I know that I have done this kind of thing before and forgotten what was in the jug, so emptied it instead of using it. Thanks for this all natural and effective cleaner Bev. Fabulous! This is exactly what I needed. I have always used vinegar on my hardwood floors, but I have never heard, or even considered adding alcohol to it. I was just thinking today, as I was cleaning, how I really need that Kray Spray mop before Thanksgiving to make my life easier. Well this is handy! I've put together vinegar and dishsoap, but never added rubbing alcohol and essential oil. I'll have to try this. Love the idea of creating an aroma that I like. I think I'd use lemon.